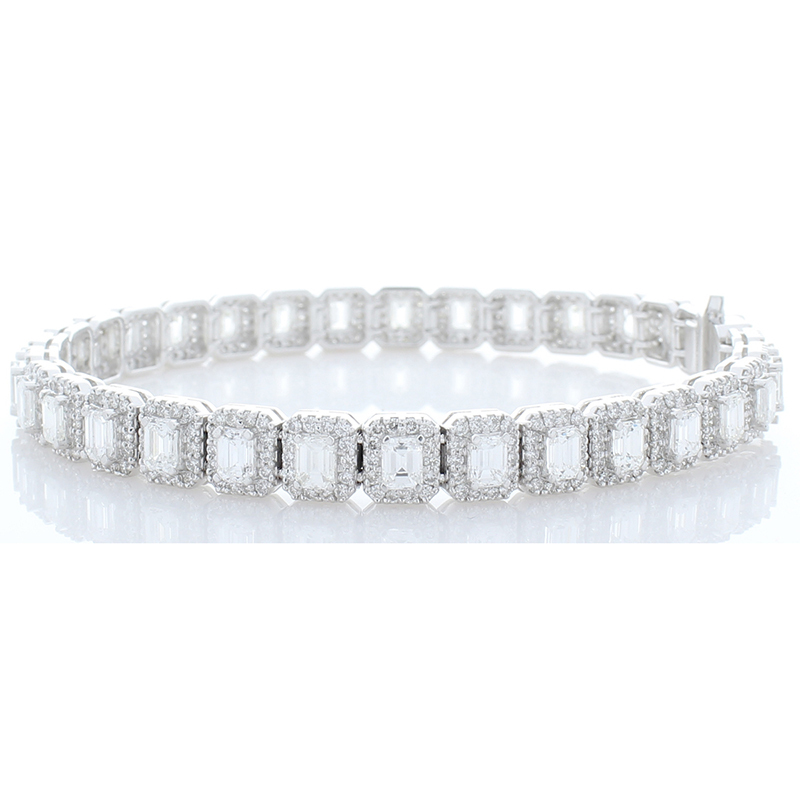 This emerald cut diamond bracelet is stellar. 6.14 carats of emerald cut diamonds are framed by 2.80 carats of round brilliant cut diamonds, prong set, in sparkling halos total 2.80 carats. The 32 emerald cuts are perfectly matched in size, color, clarity, luster, and transparency. Skillfully arranged and set in brightly polished 18 K white gold, this formidable bracelet is secured by a hidden box clasp and safety latch underneath all in brightly polished 18 K white gold.